A smooth, seamless paint job is the finishing touch that gives your vehicle the factory-floor look you want. Scratches or chips in the paint will always draw the eye, even if there’s no other flaws on the exterior. That’s why Classic Collision Center makes sure that every car we fix leaves with a perfect paint job. 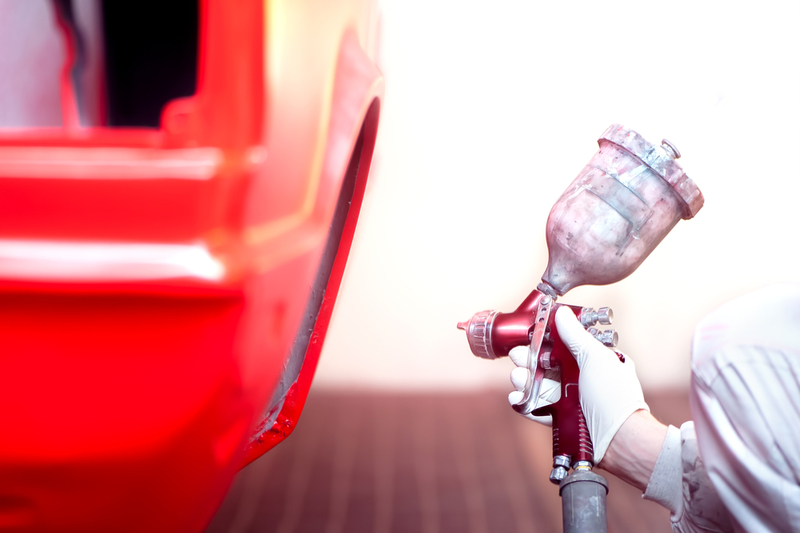 Our State of the Art Paint Booth allows our skilled technicians to precisely match the original color and finish of your vehicle using the latest computerized technology. Our painters are I-CAR certified and only work with the best tools and products that are world-renowned as the gold standard in the industry. We start by prepping each vehicle with an immaculate surface before applying the primer, which is cured and then sanded to get the surface ready for paint. An exact match to the original factory color is then applied, followed by a clear topcoat that seals in the basecoat and restores the original gloss. Or, if you’re ready for a change, you can select a brand-new color to give your vehicle an exciting new look. Whether your car or truck is being restored after an accident, or you simply want to give your vehicle a makeover, we will deliver a perfect finish, guaranteed to last.